Instead of guessing for product sales based on BSR or the 999 method, you now have access to the real sales data of any product extracted directly from Amazon's internal API. 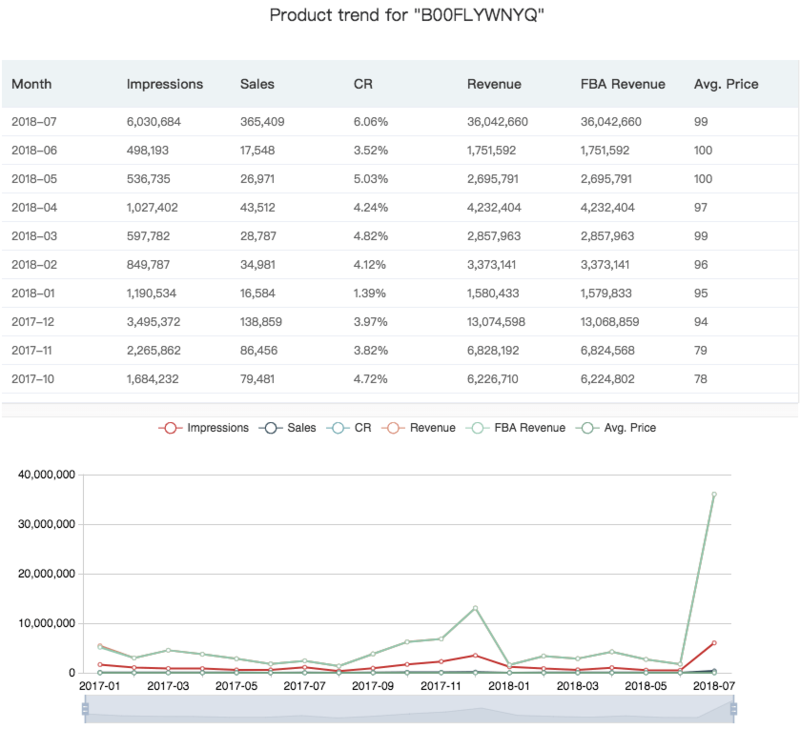 See the impressions, sales, revenue and price trend of your competitors to verify your product sourcing ideas. Know the seasonality and predict sales accurately. Get yourself fully prepared for inventory to avoid sold out or inventory backlog. See Examples & Get Started!